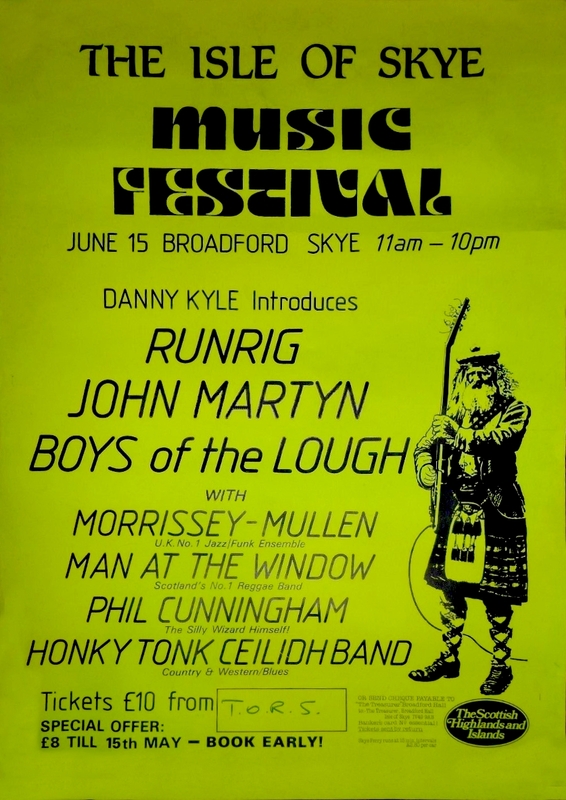 To my knowledge the Isle of Skye Music Festival had three incarnations. First traces point to 1985 and 1986 and John performed on the former occasion, as this poster proves. There is a forum post by Jim Robertson indicating that John Martyn shared the stage with Nazareth (this could have been 1984 or more likely 28 June 1986), but on the 1986 poster John's name is absent so that remains unconfirmed. The second series of the Music Festival was a two-day event that lasted three years, from 2005 through 2007, as the festival went bankrupt in 2008. John played the 2007 edition on the 26th of May in the course of the Solid Air tour. 2015 saw the start of Skye Music, also a two day festival but on another location.